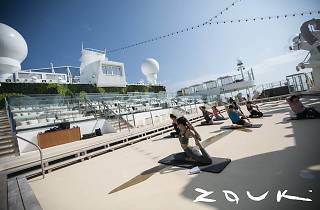 A whole weekend of group fitness classes on board of a cruise. It's a brand new way to get fit. 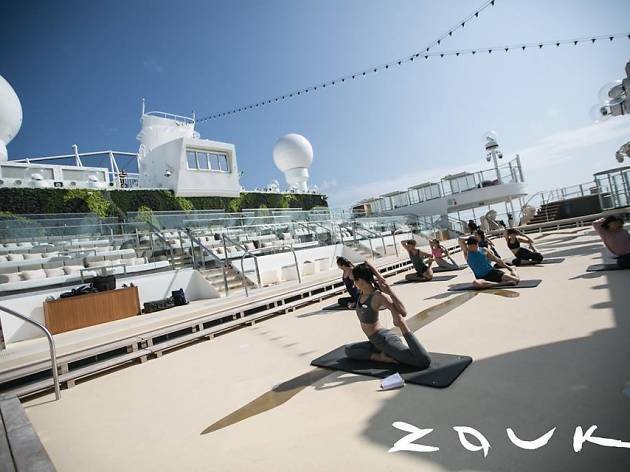 Taking yoga classes to a whole new level, GuavaPass and Zouk at Sea join forces to bring people the largest wellness event at sea. Packed with group fitness classes and parties during night and day, it promises to be an energetic weekend. From yoga classes on deck and spinning session to gymnastics and dodgeball, there’s no shortage of variety and fun on the ship and you're guaranteed to burn some calories. There are also fantastic prizes to be won by those who complete the most number of classes!